Making a brand new bedroom out of a garage is generally not a hard thing to do. It does require a good amount of planning, the proper tools and materials, and the appropriate budget to pull this project off. Here's how you can do it. Read ON! There’s always a time when you have two or more guests staying over at your house for a couple of days. But the thing is, you don’t have enough rooms to accommodate all of them. Luckily for you, did you know that you can convert your unused garage into a brand new spare bedroom? If you’re constantly running out of space, you can repurpose your garage (currently used for only piling up junk!) and convert it into a brand new bedroom, suitable for both your family members and your guests. Converting a garage into a brand new bedroom is relatively cheap and easy. Here’s how to do it. Know that not all garages can be remodeled into a brand new bedroom. Some might be too old, some might have low build quality, and some could be asbestos ridden. But if your garage was built professionally and is still structurally sound, you can remodel it into a new bedroom with very little fuss. It’s best if you ask your home architect to check if your garage is suitable for remodeling or not. You have to understand the practicalities of your garage remodeling project before starting it. Know that garages are not built on the same level as your house so you may need to make adjustments. This could entail you needing to lower or raise floors or ceilings just to make your new bedroom be in line with your entire house. At the very least, you’ll most likely need a garage door replacement, or the big garage door could also be removed entirely and replaced with matching windows and bricks. Make sure that you get the right materials that blend in the rest of your home. Your new bedroom will also probably need proper heating and insulation since most garages don’t already have this. You also need to think about the plumbing, the lighting, and the security of your new bedroom. This should help you understand what must be done in order to transform your garage into a comfortable living space. The next thing to check off your list is securing the required permits. In most countries, you need to secure the required permits from the city government before you can start any home construction or renovation project. Although the project can be done on the sly, turning your garage into a bedroom should be done legally to avoid any problems later on. Do you want to install a new door? If so, where should you place it? Do you want to add extra windows? If so, where is the best place to install them? 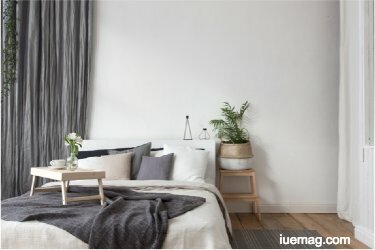 How should the new bedroom be heated? How should you insulate the new bedroom? What lighting should you choose? Do you want to add a bathroom? What other features do you want to add to it? You should be able to make a clear plan for your garage remodeling project by asking these questions to yourself. Creating a plan is very important as it will allow you to save money, time, and effort as the project starts. Once a plan has been created, it’s time that you start the project. If you have an integral garage, the project should be quick and simple. A competent do-it-yourselfer could even do it. But if you need to make some structural changes to your garage, it’s best if you leave the job to a professional. To make your new bedroom usable all-year round, you must insulate it properly, especially if you are living in a colder climate. It’s best if you stick with the type of insulation you’ve used for the rest of your home for your new bedroom space. Once your new bedroom space is properly insulated, it is time for you to hang the drywall inside. Make sure that the drywall is taped properly so that you won’t have a hard time when you sand it and add the primer on it later on. Be sure to lay down a couple of layers of primer on the walls of your new bedroom space first before adding any decorative trim over it. Remember to let the primer dry first though, before adding your desired decorative trim. If you want to lay down carpets in your new bedroom space, you might want to put padding on the garage floor first. Garage floors are known to be cold and hard. Putting down padding first over a garage floor will give cushion to the floor and helps in insulating the room as well. You may also stick with the type of flooring you have for the rest of your house for your new bedroom space if you want the new room to blend in with the rest of the house. Once everything is done, it is time to decorate your new bedroom space. Place the furniture you want inside the new bedroom. Take note of the door and window placement though when placing the bed, chairs, tables and other sorts of furniture. Finally, add a personal touch to the new bedroom to make it a comfortable living space. 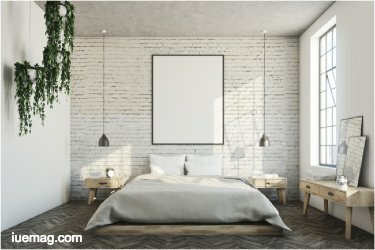 Since a garage already has walls, a roof, and a foundation, turning it into a brand new bedroom may not cost you a lot. Making use of the existing structure will lessen the costs significantly. On average, a garage to bedroom conversion project costs as low as $3,000 to as much as $30,000, depending on the features you want to add. It can even go high as $50,000 if there are some structural changes needed to be done. Making a brand new bedroom out of a garage is generally not a hard thing to do. It does require a good amount of planning, the proper tools and materials, and the appropriate budget to pull this project off. Just remember not to rush the project if you want to get your desired new bedroom space. Any facts, figures or references stated here are made by the author & don't reflect the endorsement of iU at all times unless otherwise drafted by official staff at iU. This article was first published here on 18th December 2017.